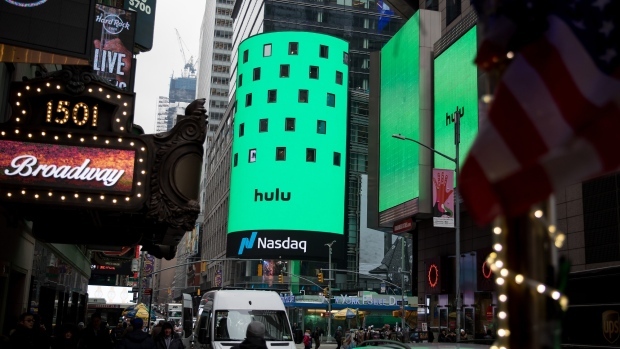 Hulu LLC, the online TV service that’s now majority owned by Walt Disney Co. (DIS.N), agreed to buy back AT&T Inc.’s (T.N) 9.5 per cent stake, a deal that valued the whole entity at US$15 billion. The AT&T stake being acquired by Hulu is valued at US$1.43 billion, the streaming platform said on Monday. Hulu, based in Los Angeles, was previously co-owned by a quartet of media giants: Disney, 21st Century Fox Inc., Comcast Corp. and AT&T Inc. When Disney spent US$71 billion to acquire Fox’s entertainment businesses in March, it gained majority control. Disney Chief Executive Officer Bob Iger has said he’s interested in acquiring the rest.